EasyJet is one of the largest airlines in Europe, operating over 700 routes across the continent. It's a point-to-point carrier and does not provide connecting flights service. Many passengers however self-connect with easyjet, so here you can find their experience. 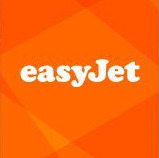 easyJet is a point to point carrier (only flies from departure and arrival airports) and does not operate a connecting flights service for onward travel using our flights or the flights of other airlines. If you have booked an onward flight with us this represents a separate contract and we consider each flight as a separate journey. Can I book connecting flights with easyJet? Bag Drop desks close 40 minutes prior to the scheduled departure of your flight. You will not be allowed to check in hold luggage after this time. The boarding gate closes 30 minutes prior to departure. You will not be allowed to board the flight after this time. Bag Drop desks for Egypt, Israel and Morocco open three hours before the schedule departure time and close 60 minutes prior. Passengers who require a visa for the destination country must be in possession of that valid visa when travelling to the destination country on an easyJet flight, regardless of whether or not the passenger(s) intend to transfer on to a connecting flight service. Be aware though that certain airports and airlines are subject to different bag drop desk closure times. Please check your flight confirmation email for specific details. Our advice is that if you book an onward flight with us, you should allow at least two hours between the scheduled time of arrival of the incoming flight, and the scheduled time of departure of the onward flight.